Gnomes Garden: Lost King Collector's Edition is rated 3.3 out of 5 by 24. Rated 5 out of 5 by Taverman from taverman I love the Gnome Gardens series. I wish they would come out faster. I like the extra levels. I was wondering how to fill all the awards. I would like to know if I got all the characters. Rated 5 out of 5 by buddaformary from Loved it Out of all the Gnomes games this was my favorite. I thought the overall look of it seemed freshened up from previous versions, I like the hidden characters and the additional 10 levels that wasn't apparent to me until I finished level 49. It was fairly easy to beat levels with three stars consistently so the challenge level was low but great way to pass the time. Rated 5 out of 5 by AJLlewellyn from Fantastic game! 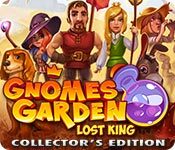 I was feeling sort of depressed after I'd run through all the Emily games, the Gardens Inc. series...and along came Gnomes Garden: Lost King Collector's Edition. Very surprised by the mixed reviews. I almost passed on a very exciting, fun game except one review convinced me to try it. Within ten minutes I was addicted, I love this game and will now get the entire series. I love the strategy aspects, the cute gnomes, and the magic cats. Try it. It's a fantastic game! Rated 5 out of 5 by kiwicrone from Gnomes garden Fun with extras I enjoy this series. and for those that aren't aware, you can use the scroll wheel on your mouse to zoom in for a closer look. I thought that the change in graphics was nice and the extra levels and awards were a worthwhile addition.Good also for those that prefer an easy mouse click game. 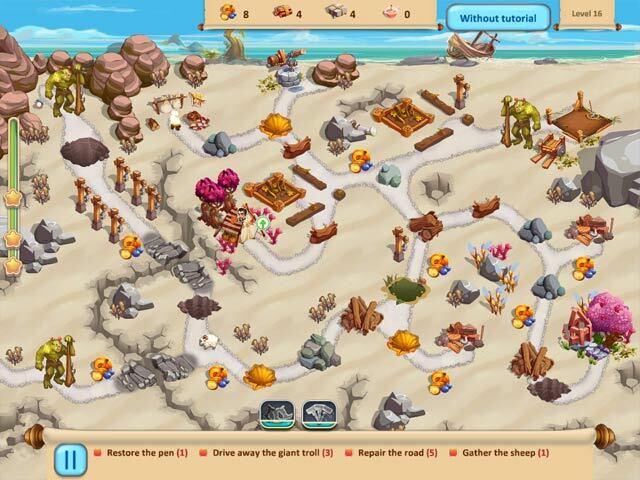 Rated 5 out of 5 by whimzzee from Had a lovely time playing this game. Yes, the game had no challenge ... I had to redo only 2 levels to get 3 stars. Restarted a few when I used resources in the wrong order. Yes, graphics are small ... luckily I have 27" monitor or would not have found all 59 critters ... unfortunately there is no indication if you found it or not so seems like a pointless exercise. 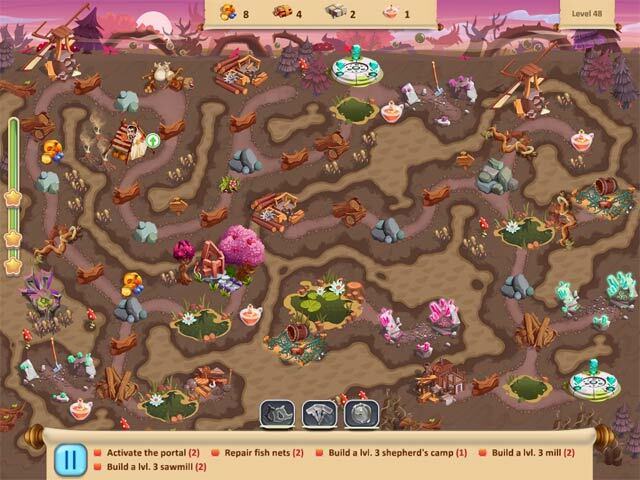 (Note to Me-Too-2: on level 49 it's in the very bottom center above hammer icon). As I played the game I was baffled why it was a Collector's Edition. Finding critters didn't make it a CE for me. And the EXTRAS were Music & Concept Art. 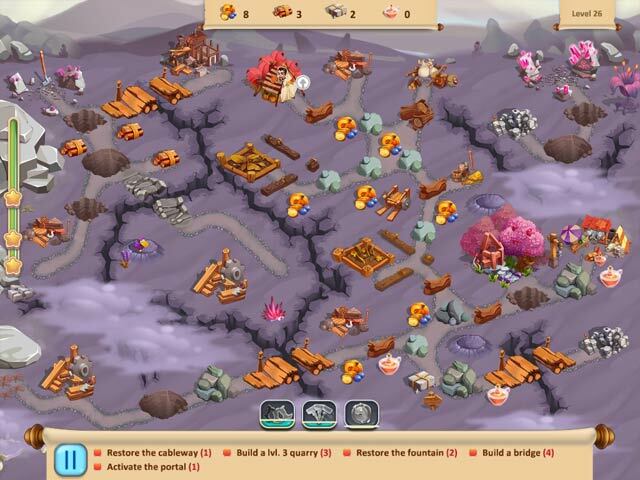 After finishing the original 49 levels a new area opened up with an additional 10 levels. AH HA moment. All that being said, I had a delightful time playing the game. Sometimes one needs a break from the head banging challenges of other TM games. Rated 5 out of 5 by Me_Too_2 from It's Gnomes Garden what do you expect? I love these games, after playing a really hard game I like to play these to detox my brain. Spoiler alert: there are "little critters" in ALL 59 levels except 49 (or at least I couldn't find it). Although some of them are hard to identify. I'm not sure what the first critter was, it looked like a snowball with red cherries! The others were a Blue Clam with White Pearl, a Purple Bird, a Green Frog and an Orange Rabbit (or Cat?). You really have to look, they are hidden well. Rated 5 out of 5 by 1snooker1 from Fun & Relaxing This is a fun game to play for relaxing after a stressful day. Yes it's a bit simple and the graphics aren't the best, but very enjoyable and not too challenging. Rated 5 out of 5 by Collydoll from Love it! I have all the games in this series and I really enjoy them and multi play them. After a busy day at work, its nice to come home and relax with a nice little game like this. Very happy with this one. Rated 4 out of 5 by themaestro023 from Gnomes Garden has improved from previous versions and now you have collectables Actually, I kinda like this game. It is, as others have said, a bit samey but this edition does have some collectables. Spoiler alert, tiny little pearls (called 'animals' by Gnomes Garden) which I didn't even notice until I clicked on one when I got to level 17. So when I've finished all 49 levels, I've got to go back and find the ones I've missed. They're not in every level and quite difficult to see when you're doing other things. The buildings are obvious when you hover your cursor over them as this brings up a description of each one and the materials needed to build them. I found the graphics decent and improved from previous versions although I am looking at the game 3 feet away from a 32 inch curved HD screen. I bought the game when my 60 minutes free time ran out using the offer of the day but it is not really worth the title 'Collectors Edition'. If I hadn't got it for this discounted price, I would have waited for the SE to come out.